Macquarie University Synthetic Yeast Group feature on ABC Radio National warning industry not to ignore the Biotechnology revolution which promises to change everything from the fuel we use to the clothes we wear. Listen to the story here. In the Jan 24 issue of the Washington Post, Professor Ian Paulsen was interviewed as an expert on microbial genomics. Professors Paulsen’s comments were on the the “very elegant, very clever piece of work” of incorporating of two new functional bases units into the DNA of E.coli. The work was published in the Proceeding of the National Academy of Sciences. Congratulations to the 2016 iGEM team for another successful year. The enthusiasm and dedication of these bright stars brought home a Gold medal from the Boston Jamboree with their project Chlororphyl II: Return of the Hydrogen. The team was also nominated for best new composite part. 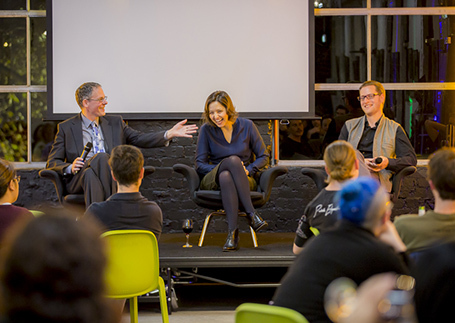 Professor Ian Paulsen and Dr. Natalie Curach were the experts in a highly interactive community discussion on Synthetic Biology. Joined by designer Dr. Josh Kodak from the University of New South Wales the panel defined the issues and worked with the audience in exploration and debate. 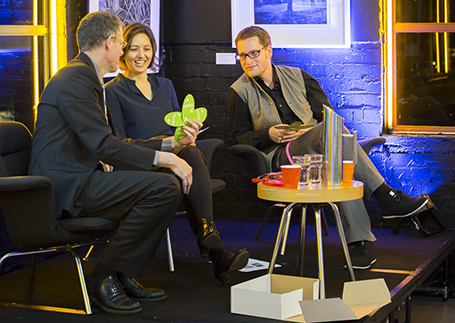 This Friday night session entitled “Designing Life” was held as part of the Powerhouse Museum’s Festival of Design. The enthusiastic crowd was given a taste of the extraordinary future ahead driven by the combined skills of designers and scientists alike. Ian Paulsen on Synthetic Biology and engineering yeast at the Powerhouse Museum Design Festival. Ian Paulsen, Natalie Curach and Josh Kodak panel Q&A about Designing Life. Ian Paulsen, Natalie Curach and Josh Wodak on Synthetic Design. 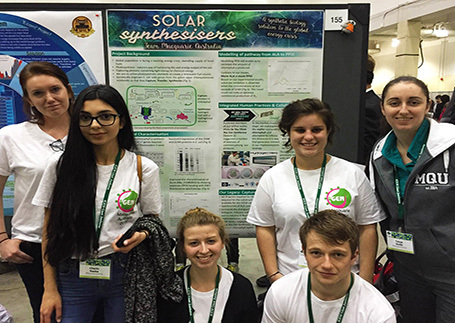 Macquarie’s iGEM team, Macquarie_Australia have done it again and won a Gold medal this morning in Boston for their iGEM project titled Solar Synthesisers’!! See more here. An amazing effort was displayed this year by the team of 31 CBMS 330 students who only had a few months to compete with more than 230 teams from around the world. Even as exciting were their runner-up special prizes for Best Energy Project Track, Best Model and Best New Basic Part. Macquarie’s Dr. Louise Brown and Prof. Robert Willows review the success of the international iGem competition in the showcase on the ASBMB Australian Biochemist journal. “Our students are motivated by a genuine problem to solve and feel the overwhelming satisfaction of presenting hard work and seeing a project from start to finish, often for the first time. They not only have a rich learning experience at the bench mastering skills in biochemical, molecular biology, bioinformatics and modelling techniques but they also have the opportunity to participate in other elements of research training not possible in a typical recipe-based teaching unit." Read the full article here. This themed edition of the Macquarie Law Journal was inspired by a workshop held by Macquarie University in December 2014 on the ethical, legal and social issues raised by synthetic biology research. 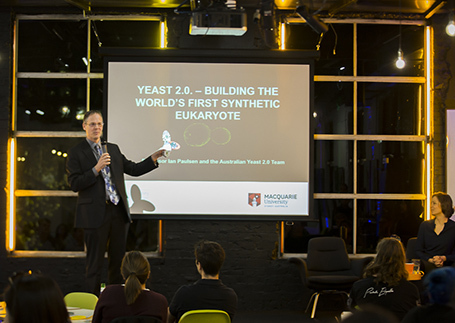 The ‘Ethics and Regulation of Synthetic Biology’ workshop stemmed from Macquarie University’s involvement in synthetic biology research and its desire to engage in a multi-disciplinary discussion of issues raised by such research. It was organised by Dr Sonia Allan of the Macquarie Law School and Professor Wendy Rogers of the Department of Philosophy, pursuant to a grant jointly received by them from the Faculty of Arts and administered by the Centre for Agency, Values and Ethics at Macquarie University. 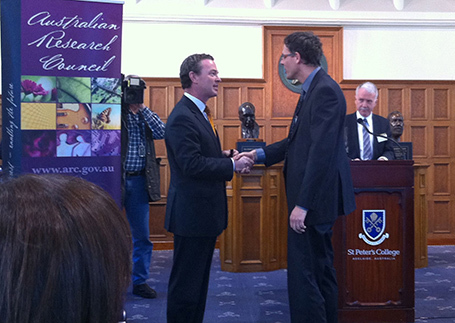 The university was honoured to have the workshop opened by Professor Mary O’Kane, the NSW Chief Scientist and Engineer, and chaired by Professor Catriona Mackenzie, Fellow of the Australian Academy of the Humanities and an Executive Board Member of the Centre for Agency, Values and Ethics. Presenting papers by Ainsley Newson, Subramanyam Vemulpad, Karolyn White, Jane Calvert, Sonia Allen and a host of others. Full Articles. Synthetic biology is a new research area that combines biology and engineering. Students that participate in the iGEM competition are an important part of this evolving new discipline and have the opportunity to demonstrate their skills in cutting edge research in the field. This year, competition was fierce with 160 international teams from some of the top universities around the world including Massachusetts Institute of Technology, the University of California at Berkeley, Harvard, Stanford, the UK’s University of Cambridge, IIT Bombay, India and ETH Seoul and Peking. Professor Paulsen’s project will establish a new understanding of complex biological systems through the development of computational models of single cells and global ecosystems. This project will focus on globally important photosynthetic bacteria that underlie the entire marine food web. It will characterise their diversity and abundance across Australia’s marine habitats and unravel the genetic basis for their adaptation to different environments. 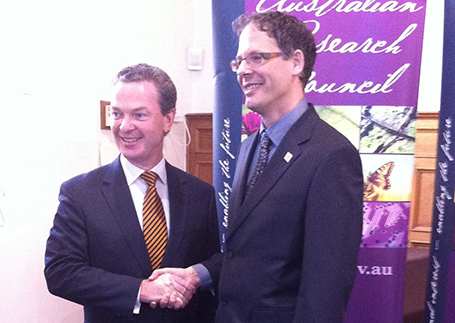 This data will be integrated with biochemical and physiological studies to create quantitative models at the cellular and global ecosystem scales, leading to the development of the new biomonitoring technologies, which combined with these models, will enable assessment of the health of Australia’s marine ecosystems.